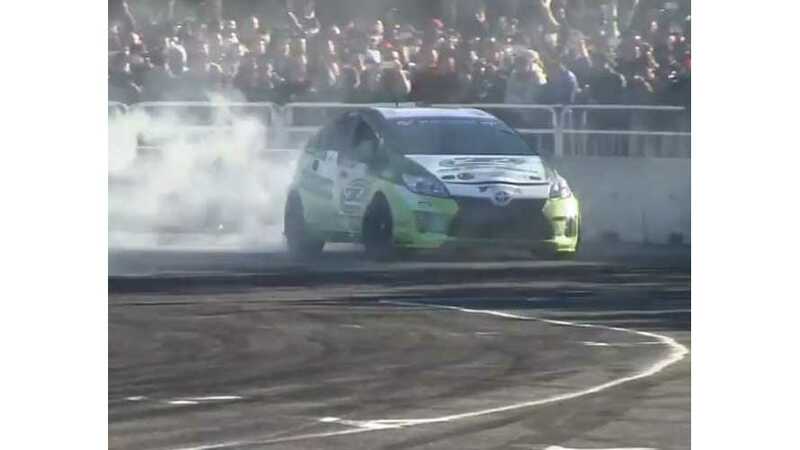 "This D1 spec EV Prius was just demonstration run for event of Tokyo Auto Salon 2015 D1 kickoff Drift.The factory are still developing this EV Prius for D1 Grand Prix 2015 season (opening round at April)." This particular Prius has been converted over to rear wheel drive and pure electric. The URL ‘Driftprius.com’ on the side of the car forwards to the website of Yokohama company Oz Motors, and while information on the Prius istelf seems to be lacking, it’s clear the company specialises in EV technology.